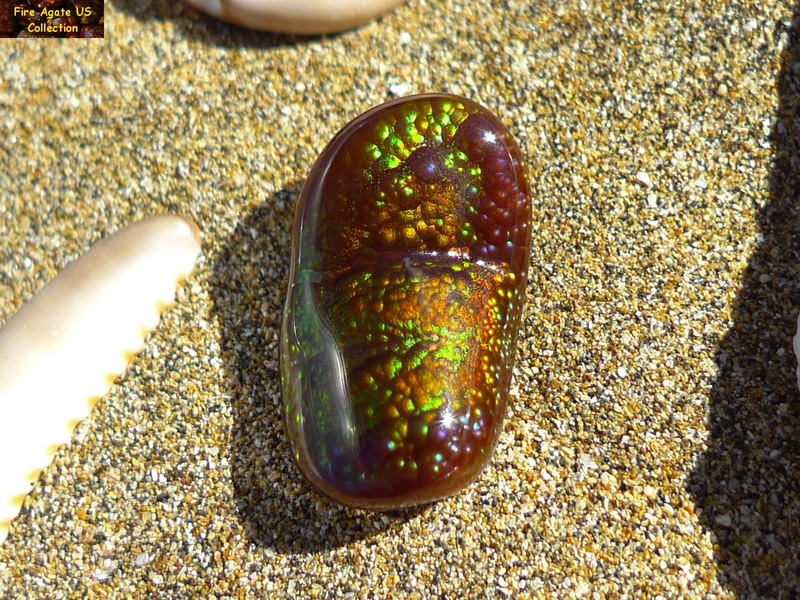 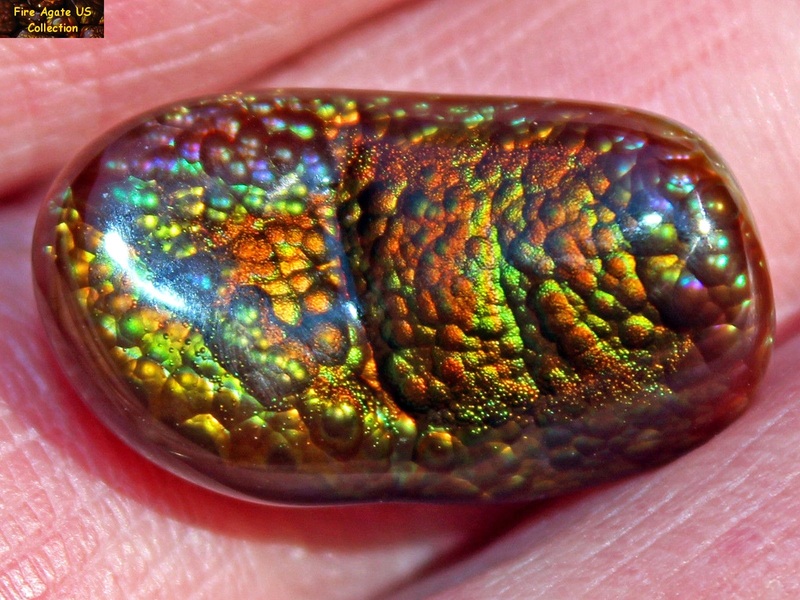 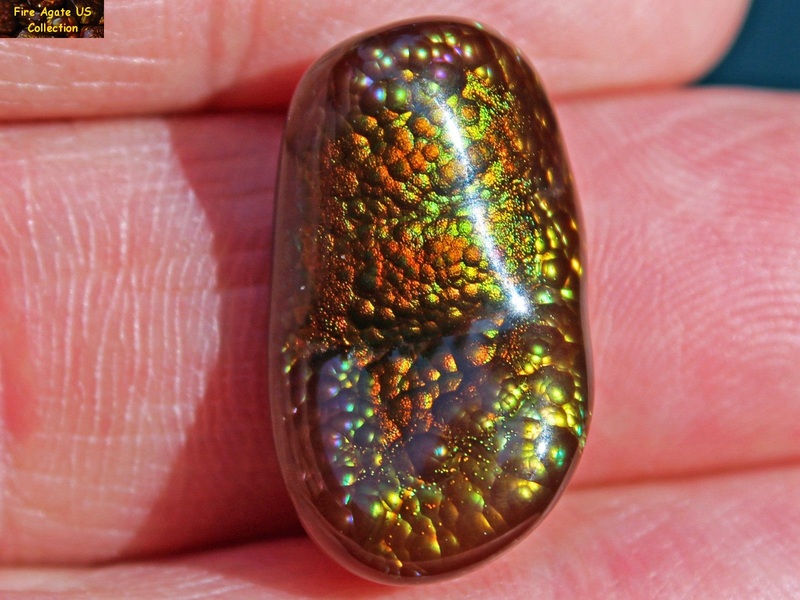 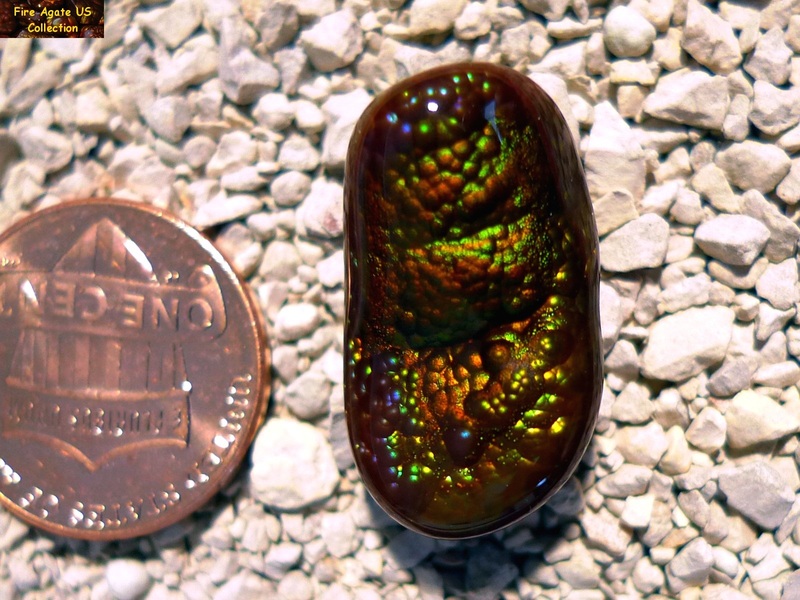 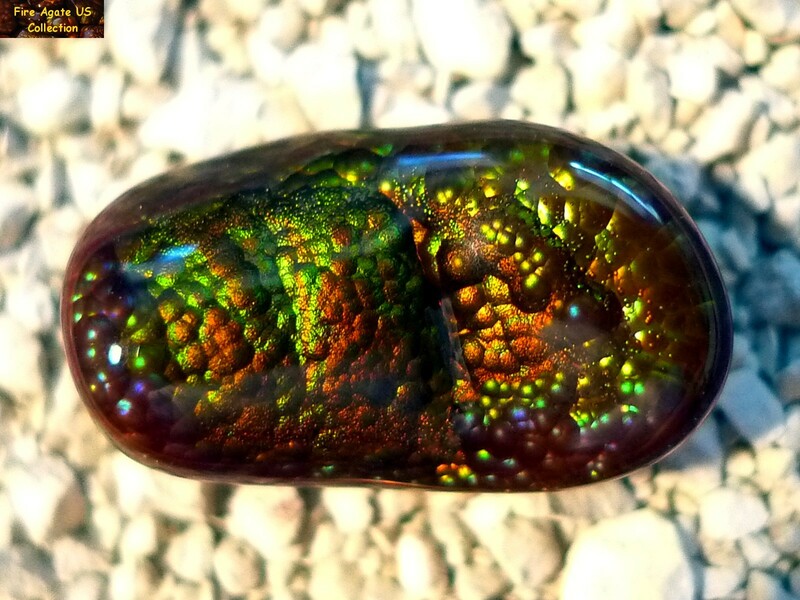 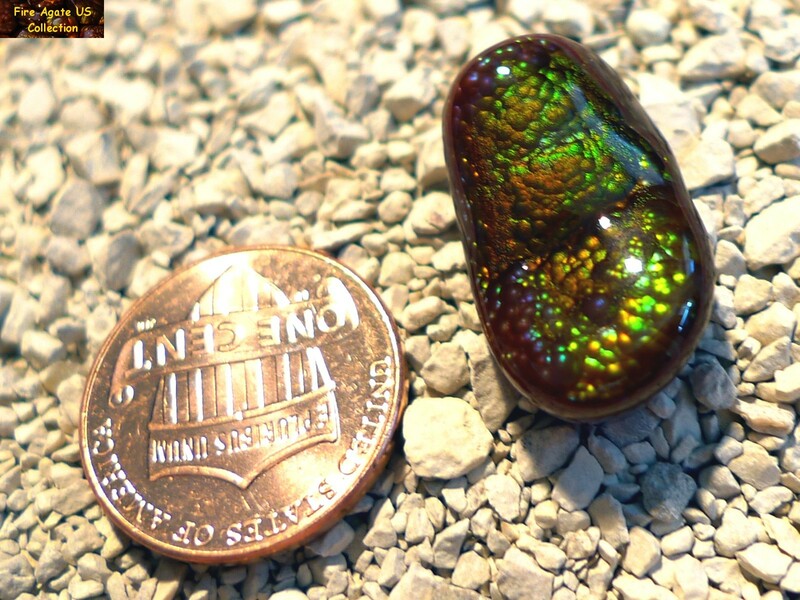 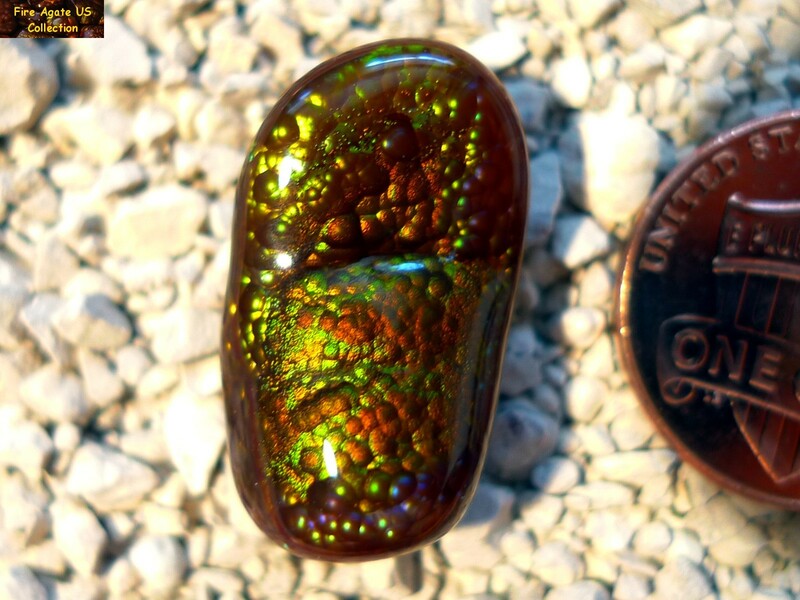 is a nicely carved free form cabochon, measures 22 x 12 x 6 mm and weighs 17.7 carats. 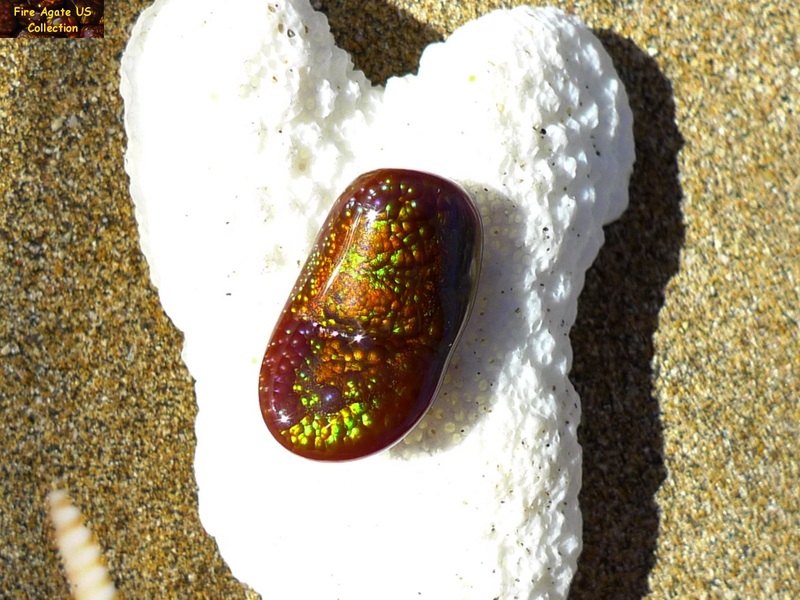 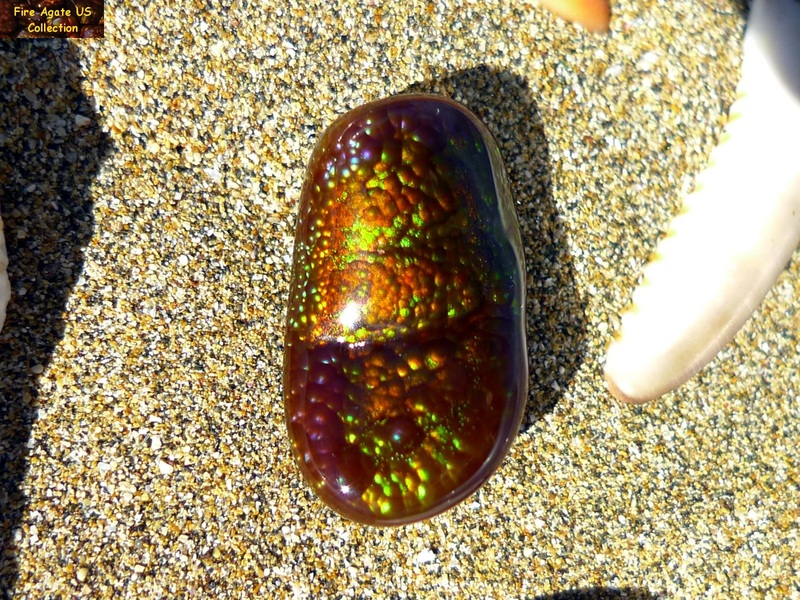 It has a bright and multi-colored bubbly pinfire display. 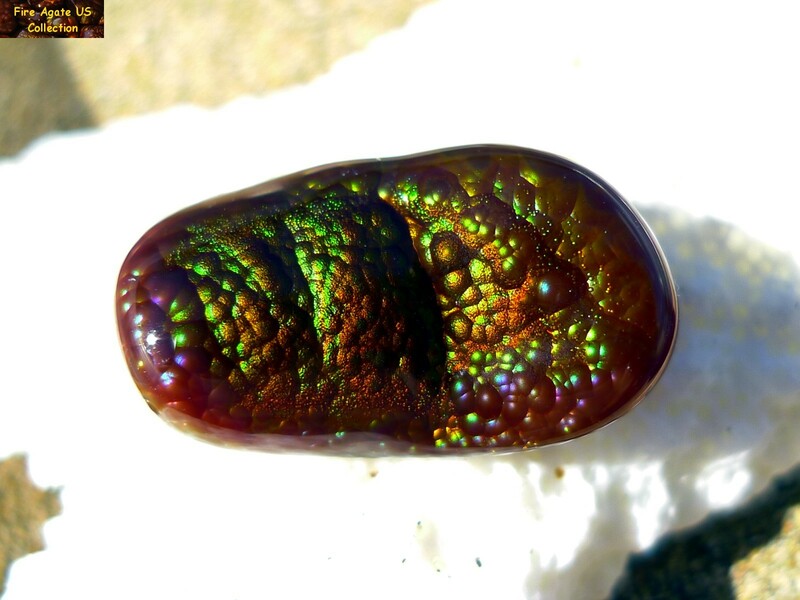 This gemstone originates from Slaughter Mountain, Arizona.